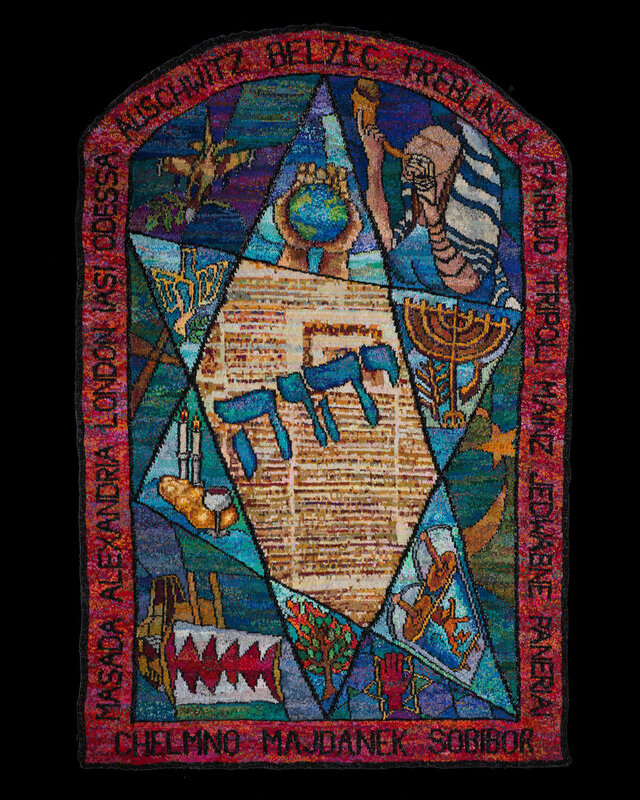 Kirk Dunn has been knitting Stitched Glass, his textile installation of 3 hand-knit tapestries, each 6 ft by 9 ft in size, exploring the commonalities and differences of the Abrahamic faiths, for 15 years. Starting in the Spring of 2019, Ergo Arts Theatre will tour the textile exhibition alongside a one-hour theatrical play called The Knitting Pilgrim, performed by Kirk, animating the exhibition. The evening of exhibition and play can also feature a panel discussion about the issues of interfaith understanding, compassion and empathy. 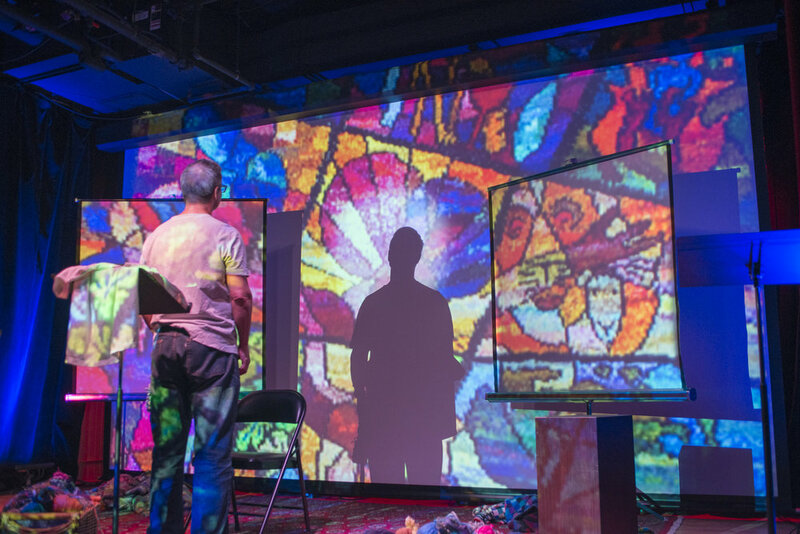 The Knitting Pilgrim is a one-act interdisciplinary performance using theatre, image projection and the remarkable Stitched Glass tapestries. 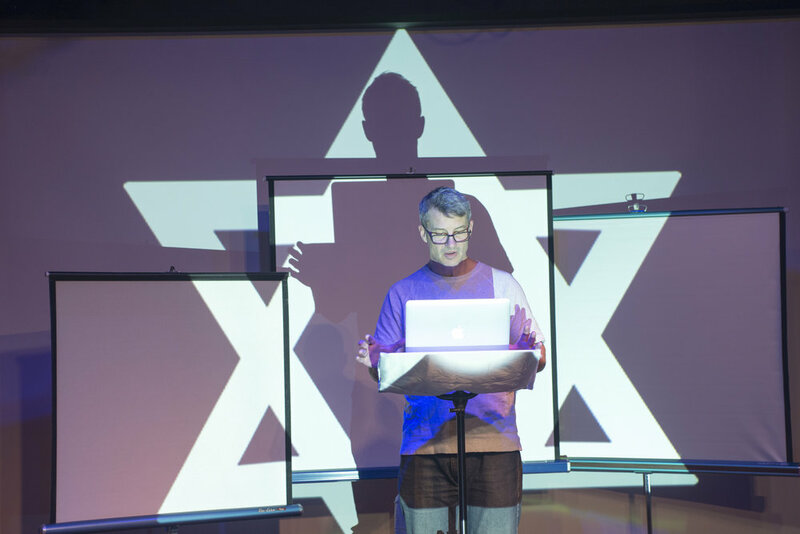 The play, performed by Kirk Dunn, recount his fifteen-year artistic and spiritual journey of hand-knitting the ambitious project, and his hope to contribute to the vital conversation about xenophobia, interfaith strife and fear of the other.